In a major move on the con scene, Dragon*Con organizers have announced they'd be changing the name of the company as part of a "cash-out merger." According to a Dragon*Con press release, the board of directors and shareholders of Dragon Con/ Ace, Inc. have agreed to rename the company as Dragon Con, Inc. The move appears to occur to counter the controversy surrounding Edward Kramer, one of the six original founders of the Atlanta con, who had been accused of child molestation (charges which date back to 2000). Kramer's continued financial involvement had led to fans (and celebrity guests) threatening boycott of the event, although organizers contended Kramer had not managed nor been in involved in Dragon*Con's organization since 2000. Dragon*Con, which reports more than 50,000 attendees, is known as a major cosplay convention and social event that attracts a large fan contingent and less involvement from networks or studios. Led by other founders Pat Henry, David Cody and Robert Dennis, the effective date of the merger is July 8, 2013 -- which allows enough time for attendees to still make plans to go to the con (though getting a hotel room might be tricky). The proposed merger was previously reported on by The Atlanta Journal-Constitution in March. 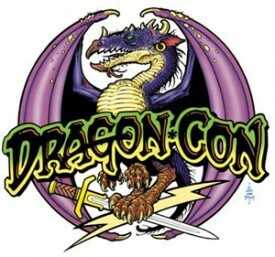 Said Henry in the press release, "This decision only affects the ownership of the old Dragon Con ... Our members and others who attend Dragon*Con 2013 will experience the same fantastic convention they have come to expect from us." Additionally, the release stated the con will continue established agreements with each of its host and overflow hotels, as well as all of the guests and performers scheduled to appear.